HPV stands for Human Papillomavirus. HPV is a sexually transmitted disease. Most types of HPV don’t show any symptoms, and they sometimes disappear. But it is important to be aware about HPV as it can cause cervical cancer in women. HPV is also related with some common types of cancer in men and women. It also causes genital warts and upper respiratory tract warts. The conditions it causes can be treated. However, there’s no cure for HPV itself. Why you should get HPV vaccine? HPV vaccine is important to protect you against HPV infection. HPV vaccine prevents most genital warts and most types of cervical cancer. HPV vaccine protection is long-lasting. But women who have been vaccinated still need screening for cervical cancer since the HPV vaccine does not protect against all types of HPV. When and who should get HPV vaccine? HPV vaccine is recommended for girls 11 to 12 years of age routinely. Girls may get the vaccine as early as when they’re 9 years old. The HPV4 vaccine for the prevention of genital warts in girls may also be given to boys from ages 9 to 26. It’s essential for girls to get the HPV vaccine before they become sexually active and before being getting infected with HPV. If a girl or woman is already infected with HPV, the vaccine will not be able to prevent disease from that type. The vaccine is also recommended for girls and women 13 to 26 years old who did not get it when they were younger. 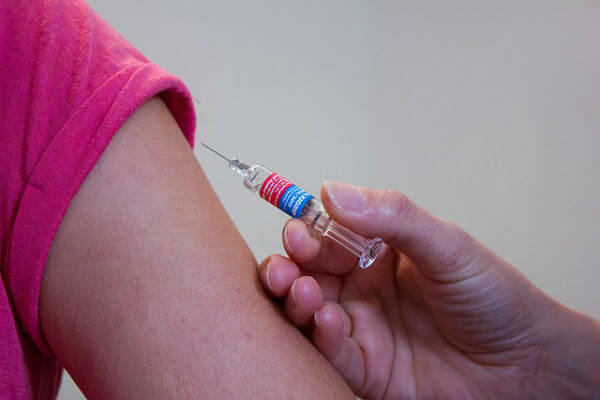 Who should not get HPV vaccine? Anyone who had experienced a life-threatening allergic reaction to yeast or to any other component of HPV vaccine shouldn’t get the HPV vaccine. Pregnant women should also not get the vaccine. Breast feeding women may safely get the vaccine. Ill people should wait until they recover. HPV vaccine does cause side effects. However, like any other medicine, it could possibly cause problems such as allergic reactions. The risk of the vaccine causing serious effect, or death, is extremely small. A few mild problems may occur with HPV vaccine like mild fever, pain, itching and swelling at the injection site. They don’t last long and go away on their own. Moreover, life-threatening allergic reactions caused by vaccines are very rare. Severe reaction may occur such as a high fever or changes in behavior. Serious allergic reaction may include difficulty in breathing, wheezing, paleness, weakness, a fast heartbeat and dizziness. When any of these reactions occur, call a doctor or get the person to a doctor right away. Despite the vaccine’s proven safety and effectiveness, some people are not aware of the importance of getting it. Many people have the virus, but they are not aware as it often goes away on its own. But certain conditions caused by the virus may lead to serious problems. Be accountable for your health and wellbeing. Ask your doctor or nurse to know more about the vaccine.